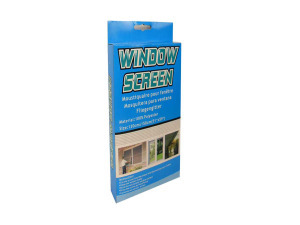 Sometimes window screens get damaged or go missing and it's time to replace them. With this set, you can simply cut the right size of screen and install it in minutes. Measures 51" x 59" and made of 100% polyester.